As Interbike kicks off today, so does some power meter news. The first to move is WatTeam with some new models, new modes, installation services, and reduced pricing. Oh, and some new algorithms. All of which combined make for some incredibly compelling news from the company wrapping up its first year of shipping products. 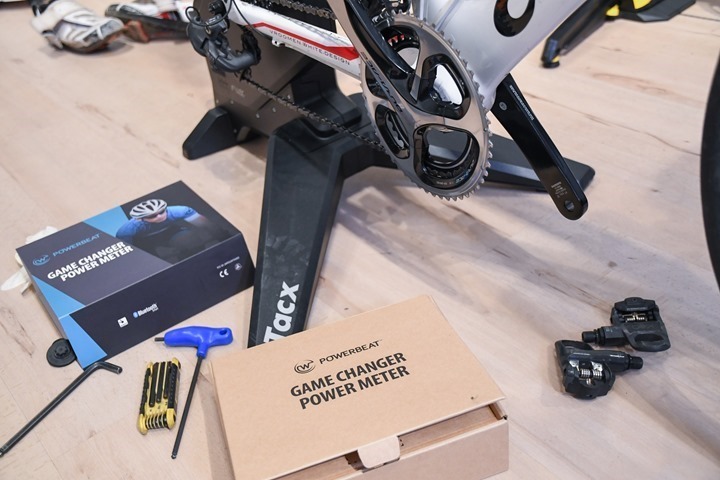 Note that most times we don’t see power meter news till Wednesday, when the main show opens (Monday/Tuesday are outdoor demo days, which don’t often have much in the way of major product announcements). WatTeam’s going deep and pretty substantial here with their pricing related announcements. First up is the announcement of a single-sided variant, simply called ‘PowerBeat Single’. This takes one-half of their existing dual-sided product (that I reviewed here this past winter), and gives you the left side for a mere $259. Yes, a direct force power meter for $259. That’s some $140 below the current ‘floor’ established by 4iiii and occasionally Stages of $399USD for a left-only power meter. Not to mention a floor that doesn’t really have too many installation limitations when it comes to crank arms. The single-sided unit can be upgraded to the dual-sided version at any time for another $259, which puts you at a slight (ok, substantial) premium over the newly reduced price of the dual-sided version at $399. So yes, another moment to sink in: Dual-sided direct force power meter for $399. Now you may be asking: What’s the catch? Well, first is that you have to self-install the pods onto your crank arms using their app/guide. It’s one of those things that looks more complex than it is. In fact, it’s pretty silly easy. Their idea is that by moving the installation steps from a factory to your living room, you save money in exchange for perhaps 30-45 minutes of your time (or less time than it would likely take you to drive to a local bike shop, wait, and drive home). It’s a logical move, especially if/when the technology supports it. However, they’re reducing that barrier now for those that are uncomfortable doing so. They’ll now offer an installation service for $99. 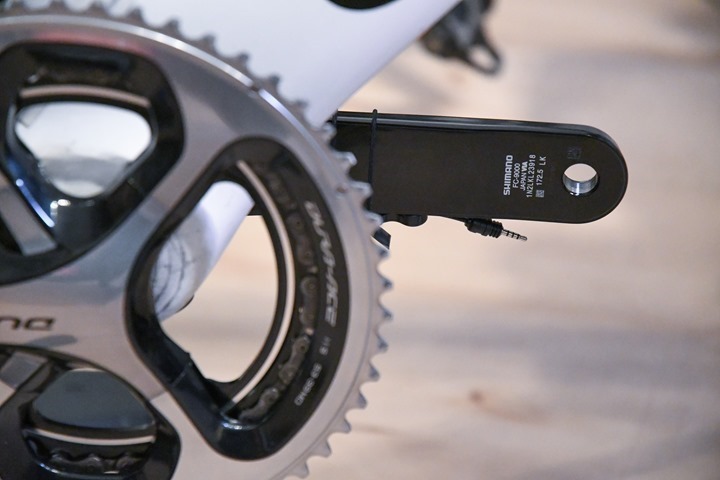 This means the company will install the PowerBeat sensors on your existing crank arms, including shipping, for $99. That’s for anywhere in the USA, and then they’ll be lighting up additional regions in 2018. Hold on, I’m not done yet. 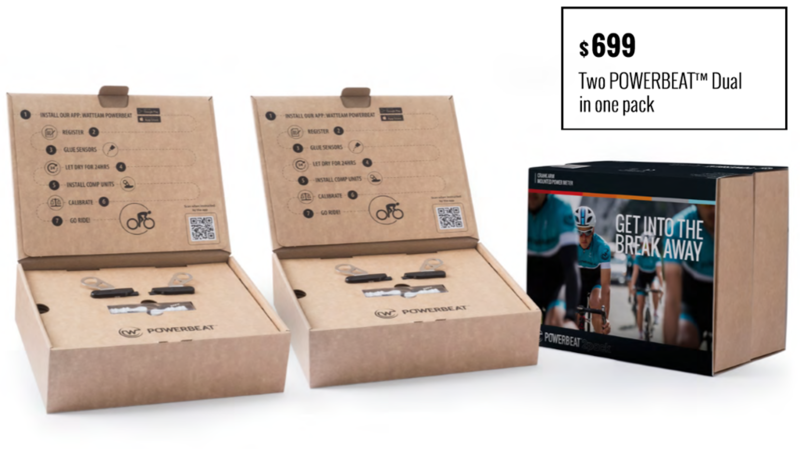 In addition to all this financial changing goodness, they’re also introducing the PowerBeat 2 Pack, which is a dual pack designed for you and a friend. You get two complete dual systems for $699 (or basically $350 per person). That pack includes: 4 sensors & 4 comp units (you put one sensor per crank arm side). Thus it can fully equip two bikes. The sensors are the things glued to the crank arms, while the comp units are the pod-like things that hang off. 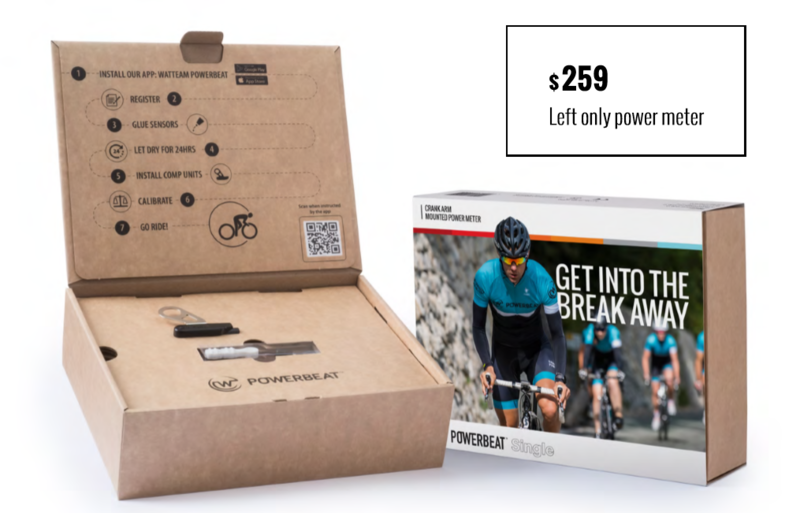 PowerBeat Dual: Now $399 (was $499). Same price in Euros – €399. PowerBeat Installation Service: $99 for USA folks, including shipping. Now, let’s talk about that ‘one more thing’…. For those of you that read my In-Depth review earlier this year you’ll remember that by and large I had really good accuracy with the WatTeam PowerBeat. I rode it a lot, across a lot of conditions – and it worked across the board. Except for one two hundred meter stretch of road. In that messier section of cobblestones (worse than normal cobblestones I encounter in Paris every day), the power simply sucked. I use this stretch as a testing ground for power meters, action cams, and mounts alike. It has broken the best of them. It’s a short but nasty chunk of route. PowerBeat says they’ve addressed that via a new mode that can be toggled using the PowerBeat companion app. This mode supports gravel/CX riding, and they believe it’ll solve my specific cobblestone section issue. You’ll be able to simply select ‘Off Road’ in the app screen (companion app on iOS/Android) before the ride. I haven’t had a chance to try it out on my stretch of cobbles to see if it address that issue (or introduces anything unexpected elsewhere). The other issue I encountered was that the PowerBeat undercut the wattage on sprints. For steady-state riding, it was great. But if I threw-down power above about 600-700 watts, it’d short me on the wattage a bit. WatTeam says that this update doesn’t address that, but notes that their power meters can handle upwards of 2,000w. Which is true, it’s just that in my case I can only handle about 1,000w, so it shorts me those last 100w or so. For triathletes and those who don’t do or care about throw-down sprints and their official ‘max power’, this probably won’t matter to you. To me the bigger item to fix was the rough roads one – so it’s good to see that happen. With that – feel free to drop any questions below. And yes, the annual power meter recommendations guide is on the way next week as planned. Just gotta get through any last announcements this week at Interbike! Get ready for all the news from me from Interbike this week! Follow me on Twitter, there’s plenty of news not just this week from Las Vegas, but also next week as well at the ANT+ Symposium and other spots. Gonna be packed! Oh, and my YouTube’s will definitely be in full effect – so follow there! The POWERBEAT™ app is now equipped with a bug fix for iOS 11. Also, as usual, free shipping too (within US, or within Europe), for this item. Thanks for the support! Thanks! My Powerbeat Single is in the mail and I can't wait to get going with it. Ray, do you know if their calibration app has been updated to calibrate a single-sided power meter? I haven't seen this update come through. I tried to order, but in EU you have to pay 420€ with your provided link without your Promo code. All other stores sell them even more expensive. Thats a pitty. I really liked the ideaof getting one for 399€ - 10% promo. I am nearly convinced, price shipped to France is 381 EUR for 2 legs (which I am proud owner of). True, but we are only talking a difference between 378EUR vs 359EUR (19EUR). As you noted, everyone else is more expensive. That said, I'll enquire as to why there's a slight difference there. Anyone in the bay area want to split a 2Pack? First time commenter, long-time reader... I'm wondering if now that the app has been updated with the off-road toggle, the power meter would be compatible with XT/X9 hollow mtb cranks? The Watteam sensor is not listed on the Lezyne supported devices, anyone can confirm that they work with a Lezyne Super GPS Y10 for example? FWIW I purchased this power meter about two weeks ago and am shipping it back as soon as I hear back from these folks. Why? Well it only works with Campagnolo Potenza cranks if you ride Campy and as along as you are riding Shimano this may work for you but others like THM or let's say something exotic like an old aluminum crank well then you are out of luck. This is common knowledge. There is list of Watteam compatible cranks provided. It's good to read product specification before purchasing. It is certainly frustrating. I offered to ship several pair of C-Record cranks for them to use for calibration with a no-go. What I would like to understand is whether or not after calibration if power is measured accurately on non-hollow aluminum cranks. I am willing to accept a null warranty and support if something fails after the fact. perhaps we can help! Whom did you contact in Europe for purchase?